Draft.js editor and its plugins was way too complex for me. I could have gotten it working but, out of the box, it just wasn't what I needed. I'd have had to work in some markdown plugins and a couple Decorators for some styling functionality that I didn't need out of the box with SimpleMDE. So I went back to SimpleMDE. And struggled. This implementation is the correct one, but I will need to get it working with a popover, etc. Busy but will be working some more on it this coming weekend. I planned to have v1 ready all the way back in September. 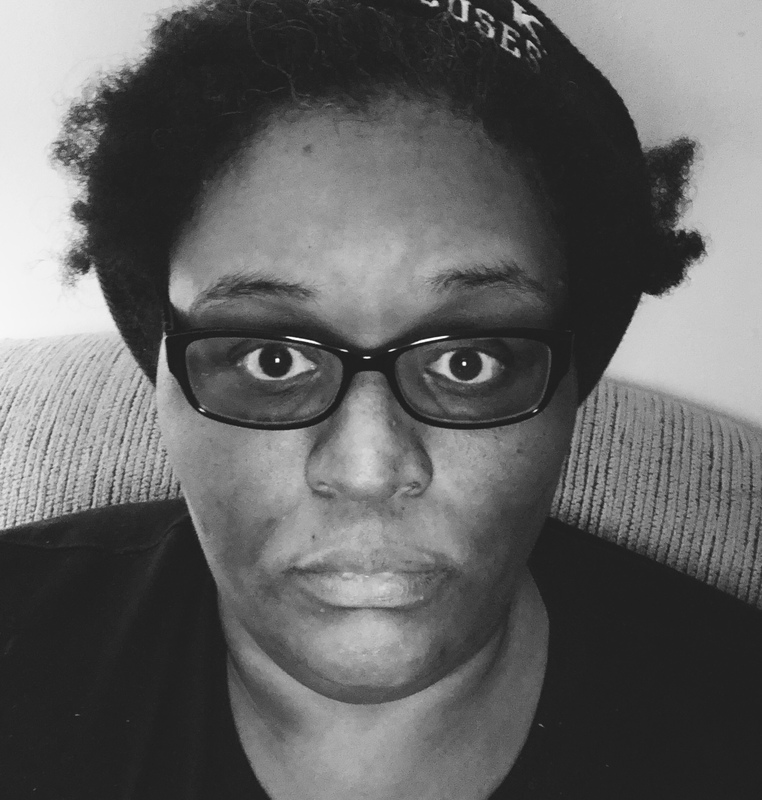 Unfortunately, things have been a bit busy here of late, and when collaborating with a friend of mine, my hectic schedule and his health issues meant that I couldn't really get what I wanted done, done. Part of the reason is that I was trying to shoehorn features into the Text.js component that just wouldn't work. I found a snippet of a writeGood component at lyleg/write-good-web. This would work perfectly if I was using Draft.js and I really wasn't willing to rewrite the whole Text.js component. I was scrolling my Facebook newsfeed and there was a notice that Facebook Open Source changed their URL. Fine, I thought and opened up the link. I scrolled some of the open source projects they have listed and Draft.js was one of them. Curious, I decided to check it out. The editor example was perfect. I set out to find a markdown version and I found Mulesoft's md-draft-js, a Markdown text editor for React. This is even better. I am looking at both the docs for md-draft-js and Draft.js, trying to get familiar with the Draft.js API and concepts. I plan on looking for something on YouTube to get me started and then diving into the docs some more this weekend. Unfortunately, because this is more involved than SimpleMDE, it will be at least another month or two before Check Yo Self is finished. I am still in the process of getting ready to interview and interviewing so I have to think about how much time I want to dedicate to this. I also know that finishing this is really important. I have my work cut out for me these next couple of months. I have rewritten the MessageText component. I have added some more body text and wrapped the FAQ and Introductions in Message and Message.Body components from the React Bulma library. I found that, in my last post about fixing components, I was overthinking the component. b. Getting the suggestions to show up in a popover is going to be a bit difficult, so a dev in Slack is going to help me get the suggestions to show up under the text editor. I am not sure how this is going to work and it's definitely not ideal but it is good enough for v.1. I am probably going to be working on this all day today and over the weekend. Hopefully, when the dev that has offered his help has time, we'll get the suggestions up and running. After that, there is some styling fixes and then v.1 should be done. I watched this talk by Dan Abramov at JSConf 2018 and a lot of things about React became clearer to me. I have sat down and worked on understanding my components and fixing them. I would like to have the text I need to check for grammar and spelling errors to have its own state. This way, when someone adds text to the editor, that data does not remain fixed; it is able to be changed. If I had just passed it as a prop to the editor, I wouldn't be able to mutate the data, as props are read-only. So far, text is just an empty object to store the text. I needed a way to check the text in the editor. I created the state for text and added it to the editor. And now that I am writing this I can see some obvious flaws. 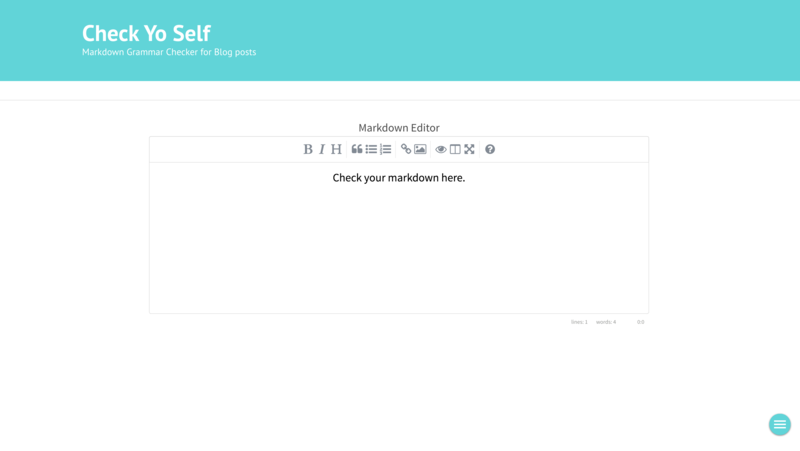 What I really want to do, ultimately, is pass props down from the WriteGood component into the markdown editor. I tried to accomplish this by placing the component inside the editor with no luck. This is when I decided to try creating state for the text input. I am not sure that helps at all, actually. In React 16 we have this.props.children. I am not certain I know how to use it or if I'd even want to. I know that I want that WriteGood component's props to be passed into the SimpleMDEReact component. Here is the project on Codesandbox. 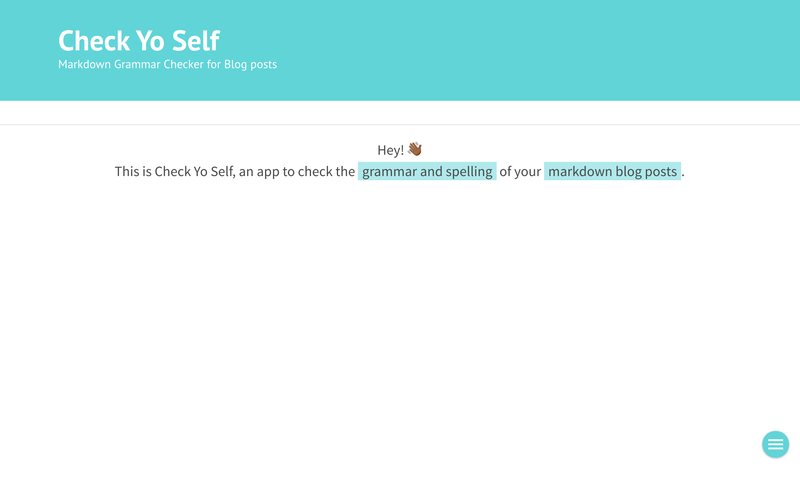 Version 1.0 of Check Yo Self is almost ready for release. It should be soon, no ETA. 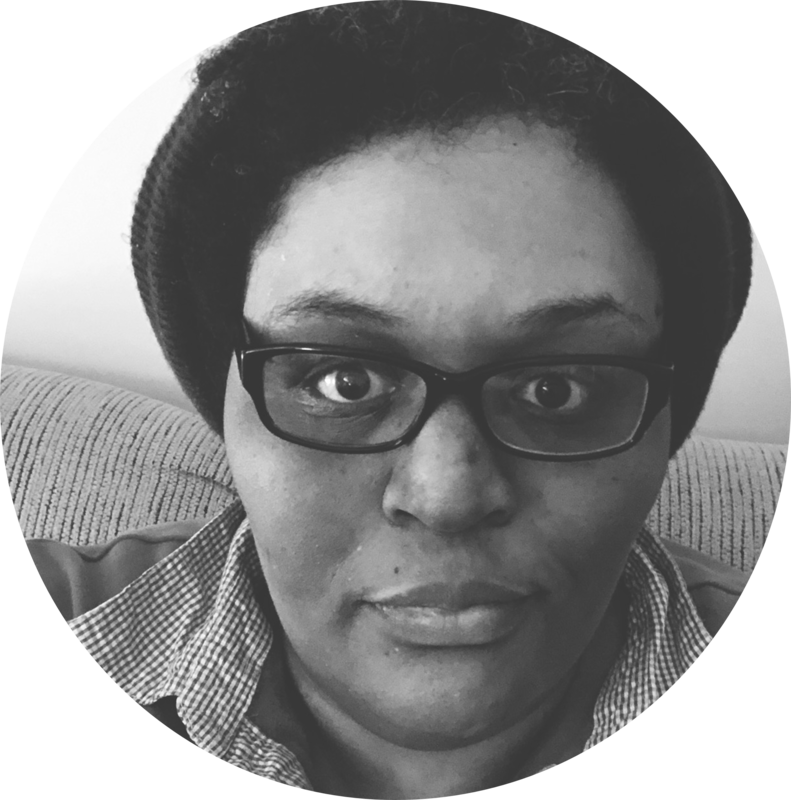 But I am working with a couple people in order to understand how I should use a certain component within the context of the app: Should a change the functional component to a class based one in order to pass down state the Text.js component? I am not sure, however, and that is the hold-up. I know. It's been about a year and I still haven't gotten this relatively straightforward app built. But I should be releasing it here soon.